Special Offer Guided panoramic Highlight City Tour of Rome : Arch of Constantine, Piazza Venezia, Circus Maximus, Roman Forum, Trevi Fountain, Colosseum. Enjoy a vacation which is more than a cruise, a captivating adventure unlike any other. 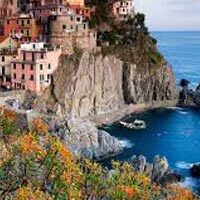 A rich mosaic of sights, from the sun-washed beaches of the Riviera to the magnificent antiquities of Rome. Relax and have fun as you sail to a mix of destinations with the loveliest features. It's a complete holiday. Enjoy the Ocean: If watching the sea is relaxing, imagine doing so from a Jacuzzi. Get Fit Onboard: You can do as much exercise as you want in the fitness facilities. Spectacular Nights: Every night on a Pullmantur Cruise is a spectacular one with musicals, live music and theme parties in the Broadway Theatre. Cuisine: An excellent cruise is inconceivable without excellent cuisine. The quality of the ingredients is essential for everything to turn out perfectly. Spa del Mar: There is a Spa del Mar onboard every Pullmantur ship with a professional staff.Guided panoramic Highlight City Tour of Rome : Arch of Constantine, Piazza Venezia, Circus Maximus, Roman Forum, Trevi Fountain, Colosseum. 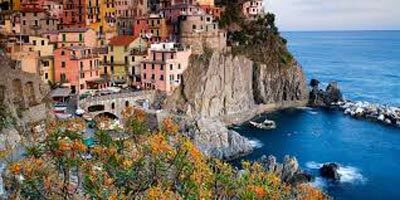 Breeze Of The Mediterranean Cruise Or SimilarServices of Cox & Kings Tour Manager or Local Representative. Port Handling charges of Euro 190 per person. Drive to Rome for a short visit to the "Eternal City". The truth of the oft quoted adage 'Rome was not built in a day'- hits you with full force, as we pack in all the 'must see' agenda into our guided panoramic highlight city tour! Start your guided introduction to Rome with a visit to the famous Trevi Fountain (under renovation). Legend has it, that if you make a wish and toss a coin over your left shoulder into the fountain, you are sure to return to Rome! We at Cox & Kings look forward to that! Pay tribute to the brave Gladiators of Rome, with a photo stop at the mighty Colosseum. At this amphitheatre, the notorious and gory gladiatorial games were held, where they fought with one another and wild animals while the crowd roared! Pass the Circus Maximus - the Hippodrome - known for its ancient chariot races, which was reconstructed by Hollywood for 'Ben Hur' ! After an exciting tour, relax as you drive to board your 8 day cruise (check in 1600 hrs). Once on board your cruise liner its non-stop fun. Meals : Dinner on board the cruise. In Toulon today book shore excursions on your own at the cruise excursion desk or stay and enjoy the onboard facilities. Board your coach to enjoy the very best of Barcelona as you explore the Gothic Quarter and spend some free time shopping. First stop at the city's most well-known symbol, La Sagrada Familia, for a chance to take some photographs. Work began on the construction of this sanctuary of a thousand needles over 100 years ago and is still on-going today. Ever since the Barcelona Olympics in 1992, the temple has become an emblem of the city and an ecclesiastical tribute to its architect Antonio Gaudi. Continue on foot through the narrow streets of the medieval Gothic Quarter, with its incredible atmosphere and wealth of historic buildings. Visit the Gothic Cathedral which was built between 1298 and 1450 upon the remains of a Roman temple dedicated to Hercules and which has an interior adorned with columns and stained glass dating back to the middle ages. Admire some of the city's most important modernist buildings along Paseo de Gracia, the memorial to Christopher Columbus and the Plaza Cataluna. Your tour continues with a drive along Avenida de la Diagonal and Avenida de Josep Tarradellas. Climb to Montjuic, passing by the Stadium and Olympic Ring from the 1992 Barcelona Olympic Games. You can start with American Roulette and move on to slot machines, video poker, match play and live sports sweepstakes. Relax with a refreshing dip in the swimming pool sipping a cool drink in an unbeatable setting. To relieve tension or stress or for pure pleasure, the Spa is the perfect place to relax. A visit to the Fitness Centre or a trip to the jogging track is also an option. Your choice of a shore excursion can be booked on your own at the cruise excursion desk or you can stay on the cruise and enjoy the onboard facilities. Today when your cruise docks in Naples, book a shore excursion on your own at the cruise excursion desk or stay on board and enjoy the facilities. You must be in possession of Schengen Multiple Entry visa. The cost of this visa is included in the Main Tour Price. It is compulsory to do the visas through Cox & Kings only. Visa fees are subject to revision by the consulates from time to time. In such a case additional charges may be applicable. 2 Photos (3.5 x 4.5 cm with white background glossy finish 70 to 80% face area visible). Company Registration Certificate of Indian Company / Company Memorandum of Understanding / Evidence of Partnership. Employers Leave sanction letter in original with date of joining designation & leave dates mentioned with company seal and name, designation of HR Officer and his signature. Passport is in maiden name then wedding card/marriage certificate/Wedding snaps. NOC letter on 100 Rs stamp paper from the Bridge parents with passport copy for signature verification. Passenger complete contact details (Residential Tel No......). 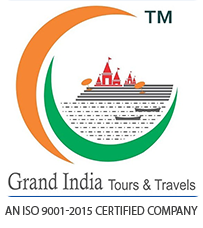 Day to day tour itinerary is mandatory hotel confirmation with the name of hotel address and telephone Number of hotel and pax check in and check out dates. Income Tax Challans of last 3 years. Updated personal bank statement for last 6 months with good bank balance at least Rs 2 lakhs after total tour payment with bank seal. If student School/ College bonafide certificate required.